It’s totally understandable, after the public reactions to the H1N1 scare and controversy a few years back, that the drug cartel PR machine would be re-calibrated for the new environment. And this year it seems we’re starting to see some of the next generation of “grey magic” from those quarters. 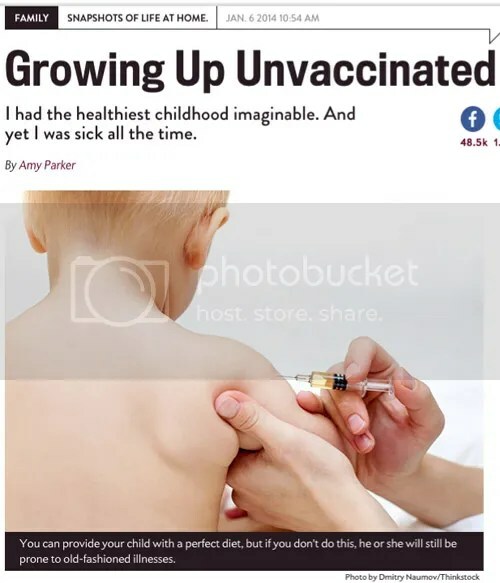 Amy Parker’s story, “Growing Up Unvaccinated”, excerpted below from Slate, and which has been widely reprinted, including in the Toronto Star, takes aim squarely at the advocates of a natural lifestyle, perhaps because they have been vaccination’s most outspoken critics. It’s also worth noting that there was a recent controversy in Canada recently in which stocks of free vaccine were supposedly depleted and the question was, is it right for a drug store to take advantage of the situation by charging people $20 for a flu shot from the store’s own supply. The (not so hidden) message here is that the flu shot is so popular that stocks run out and people — Canadians even — willingly pay $20 to get it. Could the vaccine makers be taking a page from Steve Jobs’ playbook in creating artificial shortages to boost buzz around their product? “I am the ’70s child of a health nut. I wasn’t vaccinated. I was brought up on an incredibly healthy diet: no sugar till I was 1, breastfed for over a year, organic homegrown vegetables, raw milk, no MSG, no additives, no aspartame. My mother used homeopathy, aromatherapy, osteopathy; we took daily supplements of vitamin C, echinacea, cod liver oil. From Elkhart Country Grass Roots Hub . “Extending for four decades now, the war on drugs has ingrained a certain ideology into society. What was sold as an initiative to get dangerous drugs off the streets has conceived a totalitarian mindset that government has the authority to control everything you eat and drink and, if you disobey, the state can fine you, destroy your property, raid your home and throw you in jail. I’m not talking about cocaine or meth. I’m not even talking about marijuana. I’m talking about milk. The “Placebo” and “Nocebo” effects — How does what you think about raw milk affect how it affects you? It’s long been know that “set and setting” affects the experience of those using psychotropic drugs. “Users who are in a poor mental state or a highly structured environment are more likely to have a bad trip, which is when you feel paranoid, anxious, nervous or even terrified instead of euphoric. (Science.HowStuffWorks.com)” So why should the effects of human consciousness on the experience of pharmaceutical drugs be so different. As the stories quoted below show, how you think a drug will affect you, does play a role in how the drug does affect you. 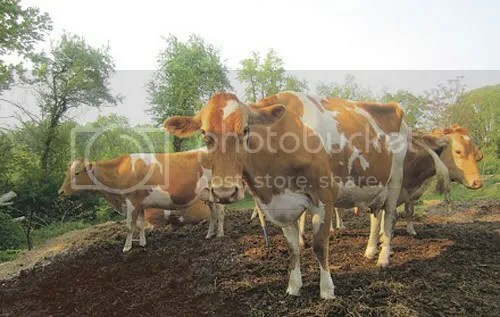 So what about raw milk? Do the positive effects people report from drinking raw milk attributable to a placebo effect. And would warning labels on raw milk actually trigger a “nocebo” effect, causing at least some people to experience the dangers being warned about? 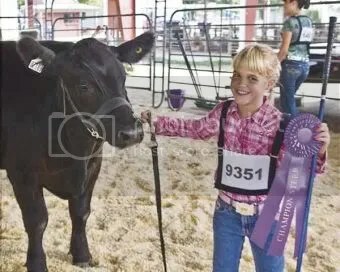 “A sales brochure touts Zilmax to children raising show cattle. The drug and others like it have been banned in the European Union and elsewhere because of concerns that they might endanger human health.” – from the Chronicle of Higher Education. “Cameras rolled one day last fall as Ty E. Lawrence led journalists into a room-sized meat locker on the campus of West Texas A&M University, where bloody sides of beef, still covered with a slick layer of ivory-colored fat, hung from steel hooks. Dressed in a white lab coat, a hard hat on his head, Lawrence pointed to the carcass of a Holstein that had been fed a new drug called Zilmax. He noted its larger size compared with the nearby body of a steer never given the drug. A meme ( /ˈmiːm/; meem)) is “an idea, behavior or style that spreads from person to person within a culture.” A meme acts as a unit for carrying cultural ideas, symbols or practices, which can be transmitted from one mind to another through writing, speech, gestures, rituals or other imitable phenomena. Supporters of the concept regard memes as cultural analogues to genes in that they self-replicate, mutate and respond to selective pressures. In order to explore the question of how new cultural memes spread throughout a society, it’s instructive to study some history. For instance, how did drugs like LSD become so popular during the 60s.